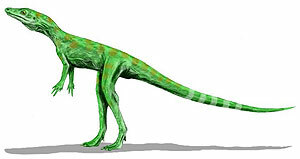 Paleontologists have recently discovered fossils in a quarry in New Mexico that challenges standing theories of dinosaur evolution.1 Evolutionists believe dinosaurs appeared in the Middle Triassic about 235 million years ago (Ma). It was originally thought that when they first evolved dinosaurs quickly replaced their ancestors. They apparently either out-competed their precursors and caused them to go extinct, or were the evolutionarily-lucky beneficiaries of a sudden catastrophe that caused the extinction of their ancestors but not them. According to a recent Science article,2 this original answer has now been ruled wrong. These finds demonstrate that evolution is not considered a falsifiable theory when evolutionary paleontologists approach the fossil evidence; rather it is the assumption they work from (see Slow fish in China). Evolutionists didn’t expect these taxa to be found buried together, but they were.4 This has caused evolutionists to modify their speculations on how and why dinosaurs evolved in the first place because their previous speculations can’t accommodate the latest evidence. The problem isn’t that accommodation happens; the problem is that it happens with practically every new fossil find (see Seeing the pattern)!5 There is no predictive power to when and what sort of creatures would arise because evolution by definition is open to any possibility. As ReMine commented: ‘Evolutionary theory predicts nothing, not even a nested hierarchy. Rather, the theory adapts to data like a fog adapts to landscape.’6 Therefore, evolution is a completely meaningless concept for explaining patterns in the fossil record. Therefore, evolution is a completely meaningless concept for explaining patterns in the fossil record. It also raises some questions for dinosaur evolution. What caused the dinosaurs’ ‘ancestors’ to die out while the dinosaurs remained, if it wasn’t the dinosaurs? What selective pressures were available to certain dinosaurian ancestors that made them become true dinosaurs and eventually win the long struggle for dominance? No doubt evolutionists will conjure up new answers to these questions that have been remoulded to the latest evidence. From a biblical perspective, there is no need for accommodation here because we don’t have to worry about reading millions of years of evolution into the fossils. A global Flood, while allowing for a general pattern of fossilisation that would expect marine bottom-feeders to be buried before land animals, does not have to be highly discriminatory regarding the inundation of dinosaur ‘ancestors’ and dinosaurs. These fossils, which were buried together rapidly in underwater conditions,7 like countless other fossils around the globe, testify to the awesome power of God’s judgment in the global Flood. Schmid, R.E., Study: Dinosaur coexisted with ancestors, Associated Press, 19 July 2007. Return to Text. Irmis, R.B., Nesbitt, S.J., Padian, K., Smith, N.D., Turner, A.H., Woody, D. and Downs, A., A Late Triassic dinosauromorph assemblage from New Mexico and the rise of dinosaurs, Science 317:358–361, 20 July 2007. Return to Text. Irmis et al., ref. 2, p. 361. Return to Text. 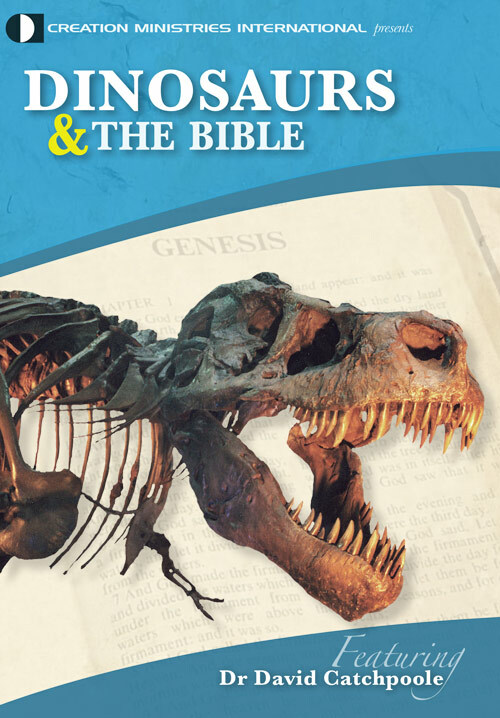 Similarly, evolutionists had long rebuked illustrators who showed dinosaurs roaming grasslands, because it was held, on the basis of evolutionary interpretations of the ‘fossil record’, that grasses didn’t appear until after dinosaurs had become extinct. But the discovery of the remains of at least five types of grasses in dinosaur coprolites (fossil faeces) has forced a dramatic revision of evolutionary theories about the origin of grasses. See Catchpoole, D., Grass-eating dinos: A ‘time-travel’ problem for evolution, Creation 29(2):22–23, 2007; Oard M.J., Origin of grasses pushed well back into the ‘Mesozoic’, Journal of Creation 21(1):9, 2007; and also in the upcoming issue of Creation magazine: Walker T., Dino dung overturns objection, Creation 29(4):35, 2007. Return to Text. See also Woodmorappe, J., The fossil record: becoming more random all the time, Journal of Creation 14(1):110–116, 2000; and Oard, M., How well do paleontologists know fossil distributions? Journal of Creation 14(1):7–8, 2000. Return to Text. ReMine, W., The Biotic Message: Evolution versus Message Theory, St Paul Science, St Paul, MN, p.350, 1993. Return to Text. Irmis et al., ref. 2, Supplementary information, pp. 3–4. Return to Text.